Today, August 6th is National Root Beer Float Day! Yes, there's an actual national day for this great classic. 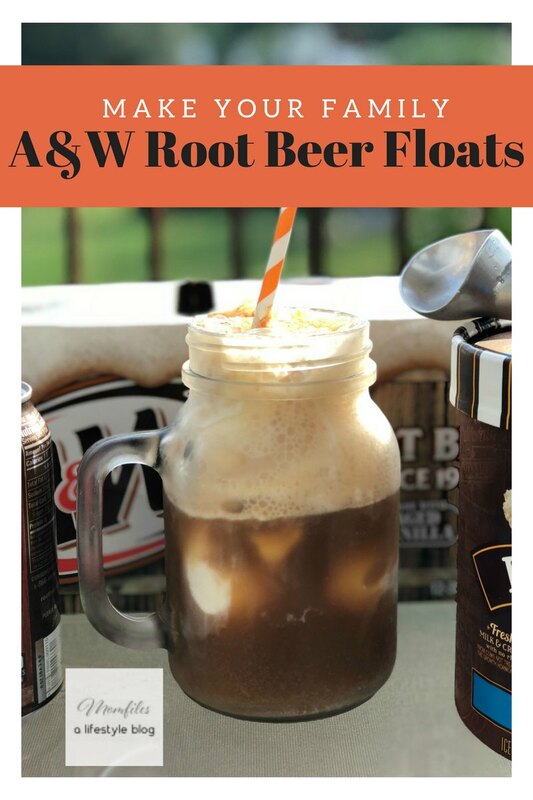 A&W Root Beer helps create the perfect timeless family night treat: an A&W Root Beer Float! Many of us grew up enjoying a frosty A&W Root Beer float with our family and friends. There is something so satisfying about slurping one up on a hot summer's day. 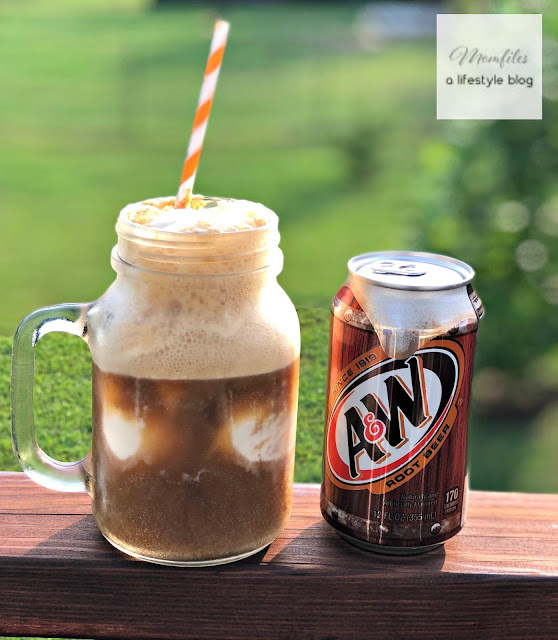 We love the classic version starting with two scoops of vanilla ice cream, and then filling your mug or glass to the very top with A&W Root Beer. It is the one drink where we don't mind any of it running over the edges of our glass, or getting a little messy. It's the perfect treat for the family to enjoy together! 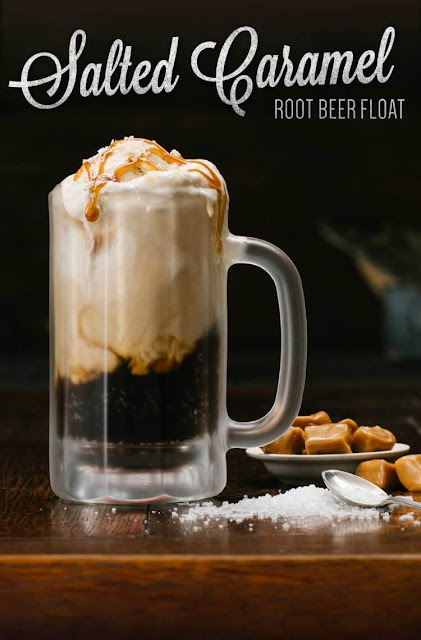 I have never strayed from the classic root beer float, but I'm so intrigued by the different versions you can make. You can step up your float game by making a salted caramel root beer float. Simply start with two scoops of salted caramel ice cream, fill with A&W root beer, then top with whipped cream, caramel sauce, and a pinch of sea salt. YUM! Looking for a more decadent option? 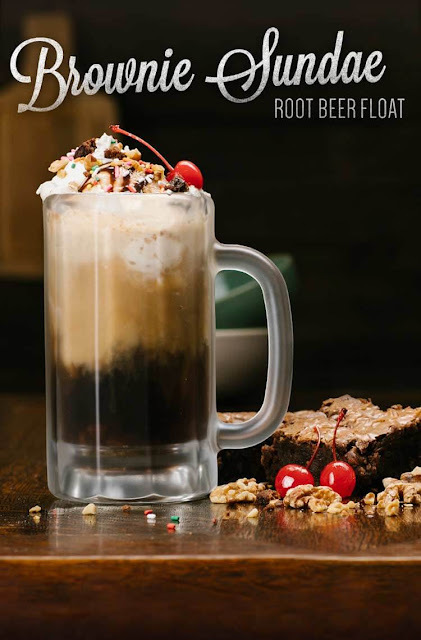 How about a brownie sundae root beer float?! Put some brownie bits in a mug, add two scoops of vanilla ice cream, and fill with A&W Root Beer. Then you can top that all off with whipped cream, chocolate sauce, maraschino cherry, sprinkles, and additional brownie bits. If you are watching your calories, you can easily use Diet A&W root beer along with a lower calorie or sugar-free ice cream product. Be sure to grab a case or bottle of A&W Root Beer, and your favorite ice cream to share with your family and friends. School will be back before you know it, so make some delicious memories while you can! For more tasty recipes, check out A&W Root Beer's website, and follow on Instagram.